Pokemon Go's battle system feels pretty hectic at first. Most people get the idea to tap as fast as you can pretty quickly, and if they're truly Poke Masters they'll start working in special attacks and dodges. But just like in the main Pokemon games, there's a surprising amount of depth to this battle system. For everything from species-determined attack values to critical hit rates, I turn you to the researchers of The Silph Road. Note: they messed up in one part, as Water attacks have "normal" effectiveness against Electric types, rather than poor effectiveness. Also the term "Stamina" is already the in-game name for HP, so they suggest calling that blue bar "Energy" instead. Minor corrections aside, it's all good to know. I'm going to have to work on my "just swipe until your finger gets tired" dodge technique in light of those findings about damage windows. And given The Silph Road's species attack stat breakdown, my Flareon might get a lot more use. 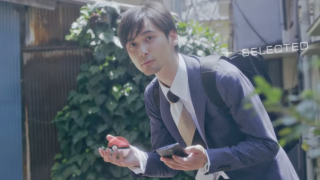 Whatever you do, make sure you watch our Pokemon Go myths video for more need-to-know info before embarking on your next augmented reality safari.